Solar Box Waterproof Portable Solar Speaker | OhGizmo! By Gadget Flow on 07/19/17 • Leave a comment! 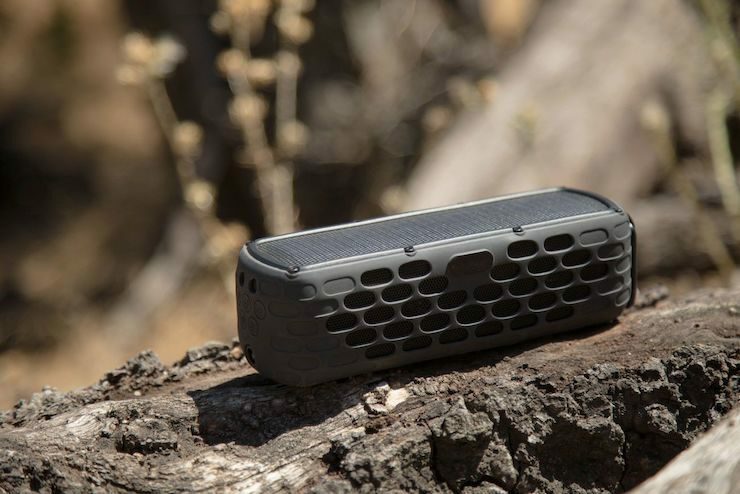 Start enjoying your music in the great outdoors with the Solar Box Waterproof Portable Solar Speaker. Using the power of the sun, this audio system pumps out the tunes for hours. In fact, just 10 minutes of exposure to sunlight will give you an impressive 30 minutes of music playback. The Solar Box Speaker is also built for the elements. It’s waterproof, shockproof, and even dust-proof.